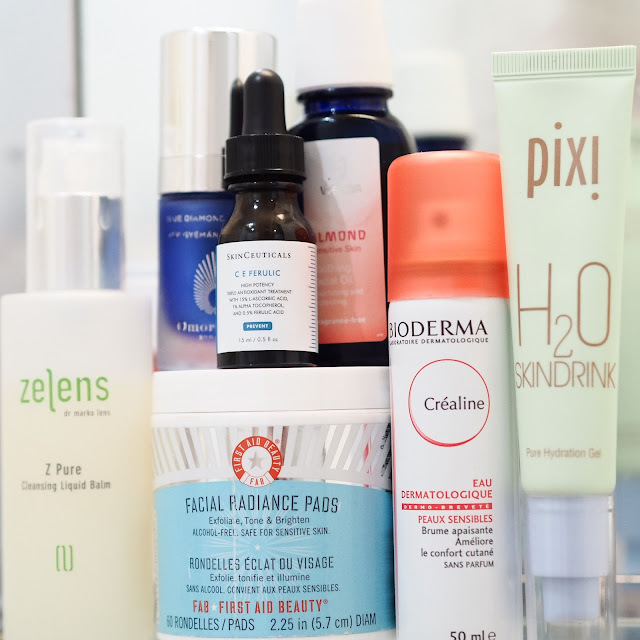 It has been a long and busy week here at Get Lippie, and my lifestyle has shown a bit in my skincare choices, I’ve swapped to a more hydrating routine, and I’ve slipped a few new products in too. I’ll be concentrating on some night-time routines this week. More after the jump. 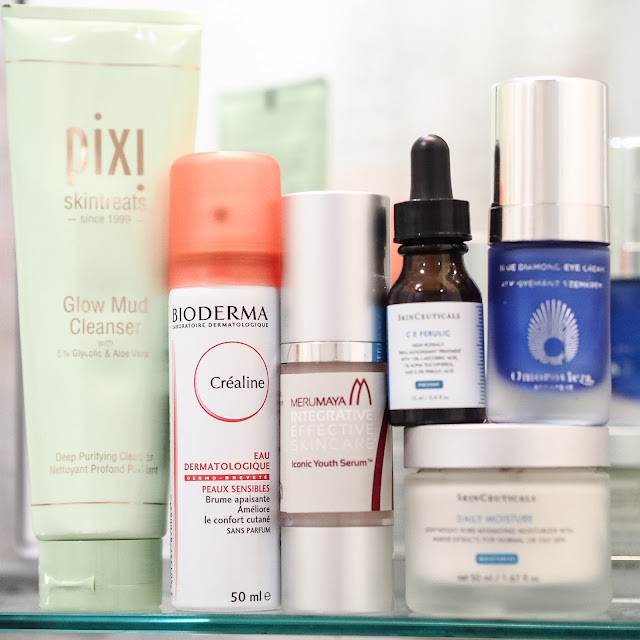 Early on in the week, my skin was still a bit congested, so I continued using the Pixi Beauty Glow Mud Cleanser, which I still like a great deal for it’s skin-tingling and clearing properties. However, after a few late nights, I didn’t think the serum-combo of the Merumaya Iconic Youth Serum and Skinceuticals CE Ferrulic was actually hydrating enough, so I swapped them out for a couple of days. I added in a couple of Omorovicza favourites (the Blue Diamond Eye Cream and the Miracle Facial Oil – which will feature in a full review of its own the week after next), the oil adds a bit more hydration than the serum. I’ve kept in the ferrulic as I really think it’s doing something for my redness and uneven skintone. And then some new products appeared. 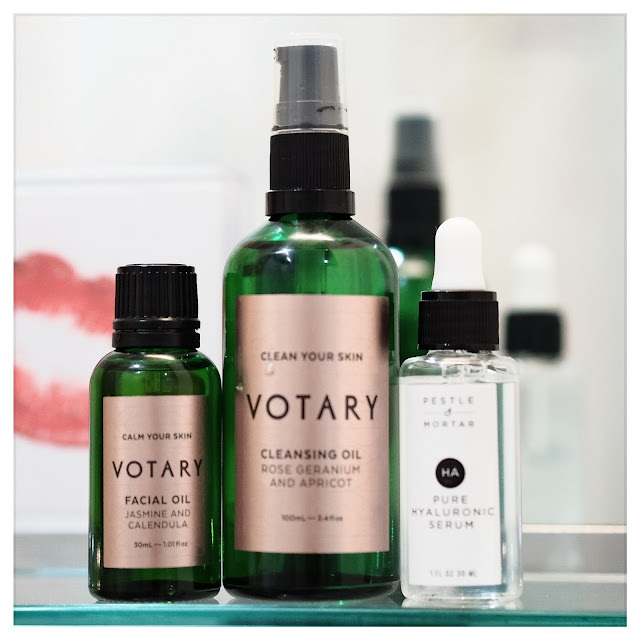 I’ve been lusting after the Votary Cleansing Oil since I spotted it on Grace Timothy’s Instagram a few weeks ago. Beautifully scented thanks to the rose geranium, it’s a non-emulsifying oil cleanser that I’ll talk to you about in more detail once I’ve used it more often. 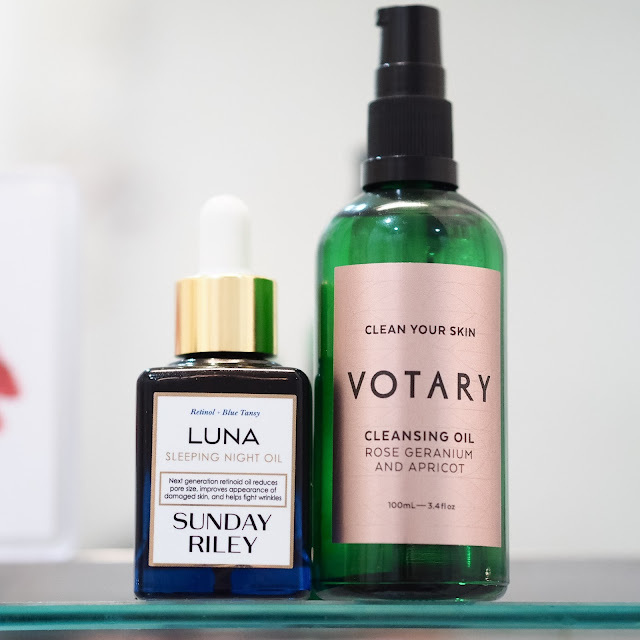 The first time I used it, I used it alongside Sunday Riley Luna Sleeping Night Oil, as my skin definitely needed some plumping and smoothing, and the Luna is ideal for that. For just plain makeup removal, I’ve recently run out of the excellent La Roche Posay Respectissime Waterproof Eye Makeup Remover that I really love, so I’m giving this Bio-Essence Miracle Bio Water Jelly Makeup Remover (catchy names, right?) from Cult Beauty a go. So far, it’s excellent, but I’ve not tried it with some of my really heavy eyeliner and mascara days yet … I have unexpected fallen in love with the Weleda Almond Soothing Facial Oil, it’s extremely light, unscented and super-good at adding moisture, without leaving a greasy film. For my combinaton-oily skin it’s really useful – and it makes a good base for makeup, too. 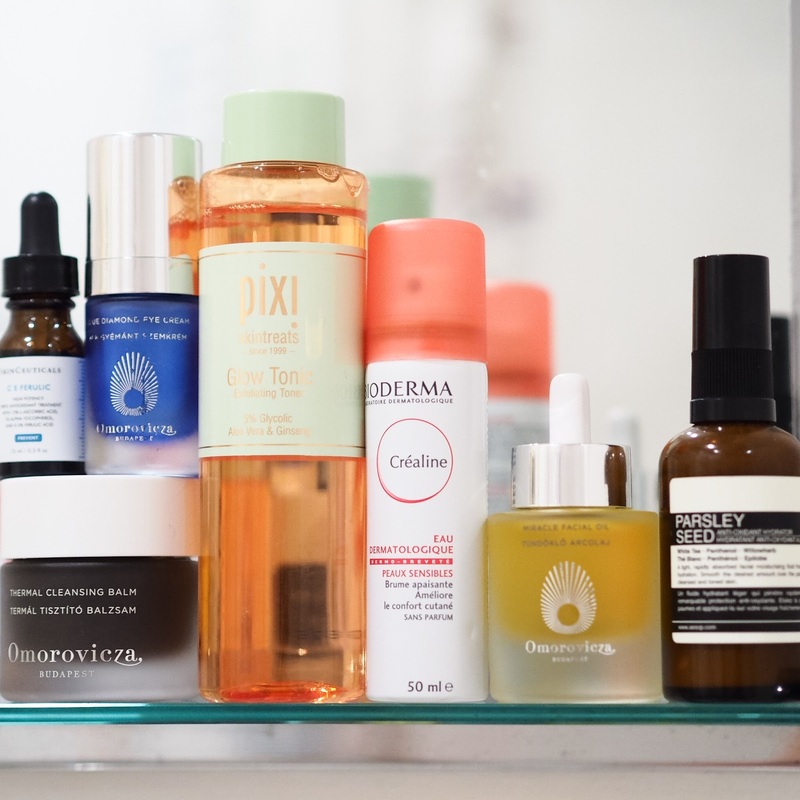 Yesterday, I just wanted a simple, but hydrating and soothing routine after a busy, busy week, so broke out the Votary Cleansing Oil again, and used it alongside my (new!) bottle of Pestle & Mortar Pure Hyaluronic Serum and the Votary Facial Oil with Jasmine and Calendula. This was a light routine but my skin felt great after. 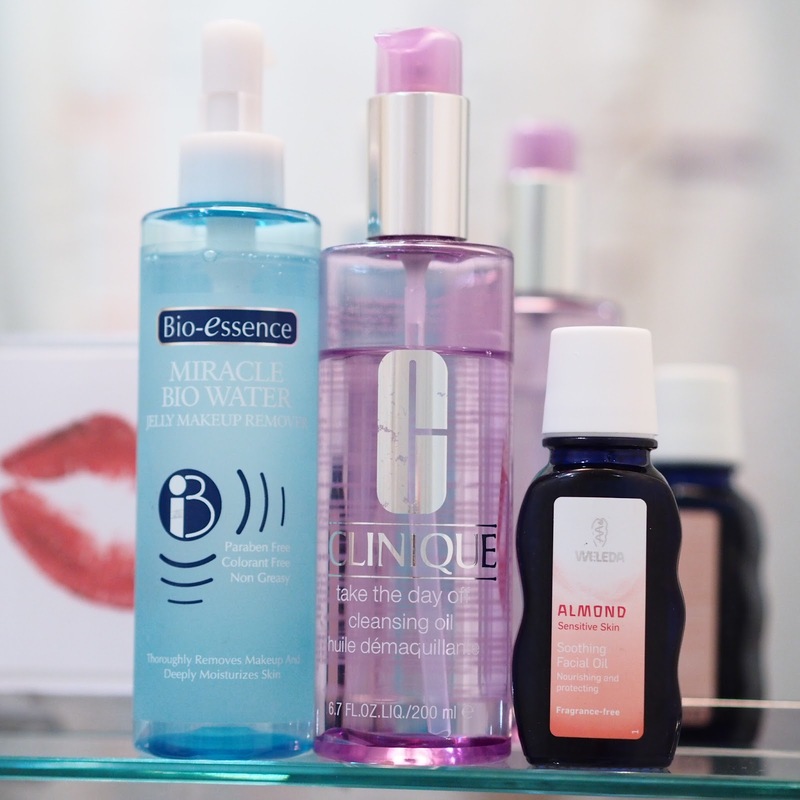 What’s on your face this week?